2625 Highland Ave #409, Birmingham, AL.| MLS# 832707 | Richard Jacks UABLIVING.com 205-910-2297 | Birmingham AL Real Estate | Contact us to request more information about our Homes for Sale in the Birmingham AL area. CONDO FEES INCLUDE Garbage collection, common grounds maintenance, insurance building, maintenance fee, pest control, and reserve for improvements. Totally updated with freshly painted cabinets with solid wood doors, hardwoods in master, 14" x 14" tile through the rest of the unit, tile bath w/ new fixtures. This unit comes with one deeded parking space. Dryer hook-up is located inside the unit along with a low profile electric water heater. 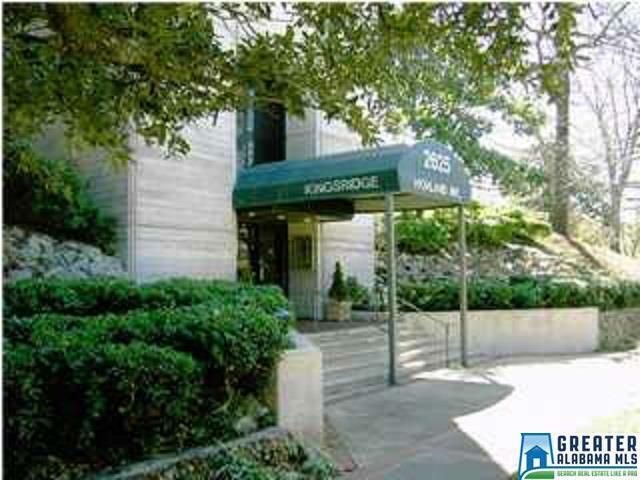 Located in prestigious Highland Park, Kingsridge offers a lifestyle of conveniences. There is also, a very nice washer and dryer on site for residents to use. Driving Directions: East On Highland Avenue Just Past Caldwell Park To 27th Avenue. Next To Park Tower Condominiums.